Story: Michael Jackson's This Is It offers Jackson fans and music lovers worldwide a rare, behind-the-scenes look at the performer as he developed, created and rehearsed for his sold-out concerts that would have taken place beginning this summer in London's O2 Arena. Chronicling the months from April through June, 2009, the film is produced with the full support of the Estate of Michael Jackson and drawn from more than one hundred hours of behind-the-scenes footage, featuring Jackson rehearsing a number of his songs for the show. Audiences will be given a privileged and private look at Jackson as he has never been seen before. 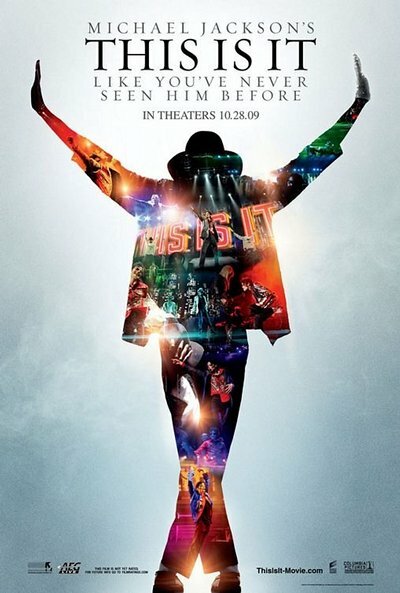 In raw and candid detail, Michael Jackson's This Is It captures the singer, dancer, filmmaker, architect, creative genius and great artist at work as he creates and perfects his final show. Kenny Ortega, who was both Michael Jackson's creative partner and the director of the stage show is also directing the film.